Opinion: Is It AFib That Causes Strokes, Or Maybe Something Else? Is It AFib That Causes Strokes, Or Maybe Something Else? 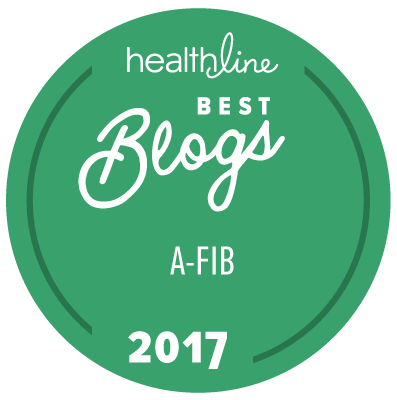 Home | Afib News & Events | Is It AFib That Causes Strokes Or Maybe Something Else? I just returned from the American College of Cardiology (ACC) medical conference. Over the past six months, I have also attended EP in the West in October, American Heart Association in November, AF Symposium in January, Western AF Symposium in February, and ACC in March; at these medical conferences, I have picked up on an emerging theme. It started with research findings within the past year showing a lack of correlation between afib and the onset of stroke in many with implanted devices. It was confusing and perplexing that many strokes in those with afib were actually not correlated with their afib episodes. In fact, often the afib and stroke did not occur in the same 30-day period; in some cases, they occurred as much as a year apart. How could that be? We started hearing about this more at the AF Symposium, and then last week at ACC, I heard this emerging theme even more prominently — maybe afib is really a marker of underlying atrial disease (atrial myopathy) and the strokes are due to the atrial disease rather than the afib. In fact, afib may simply indicate advanced atrial disease. This could be a huge shift in thinking. Over the past couple of years, I’ve heard experts talk about PACs (premature atrial contractions) and atrial flutter as risks for stroke, too, and thus they may also be markers of advanced atrial disease. Nothing will change any time soon — validation studies are required to more fully understand this. But, if true, what would be the implications for those with afib? Several past studies have shown that the CHA2DS2-VASc score predicts stroke risk even in the absence of afib, which makes sense. As someone with a CHA2DS2-VASc score of 3 now, since recently turning 65, this research factored into my decision to resume an anticoagulant even though I haven’t had afib in 11 ½ years and no longer have a left atrial appendage (it was removed during my mini maze surgery). Even the half dozen top afib and anticoagulant experts I talked with were split on their suggestions to me. Since I average about 100,000 miles per year of flying (with the risk of DVT & blood clots), have underlying heart disease, had afib (which appears to be a manifestation of advanced atrial disease), and there have been strokes in our family, I believe there is enough potential risk to justify an anticoagulant. I'm unwilling to wait for the evidence to pile up and become overwhelming. What might this mean to you? If you have had afib for a long time, potentially allowing fibrosis to build up in your atria, even with a successful ablation or surgery it might still be worth discussing anticoagulants with your doctors. This new theme has me questioning whether taking the new anticoagulants as “pill-in-the-pocket” will ever become a viable treatment strategy. This is just my opinion, and is provided as food for thought based on emerging themes from recent medical conferences.